“Who owns Jerusalem?” the whole world wondered at the end of 2017, strangely emotionally, as if it were about its very existence. 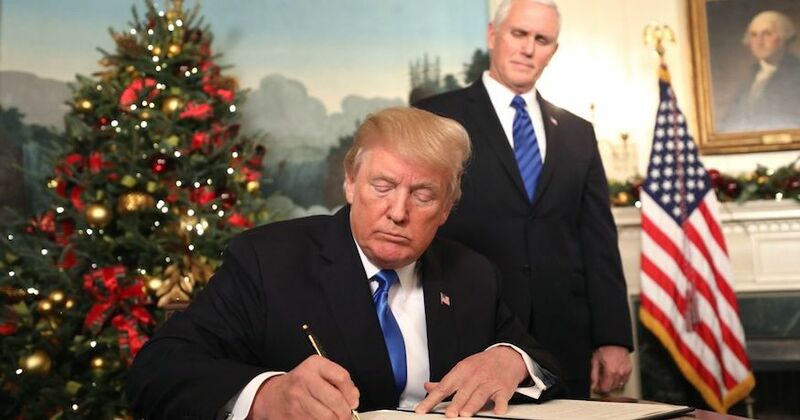 On 6 December, US President Donald J. Trump recognised Jerusalem as the capital of Israel. Explicitly he wished only to take note of a fact. After all, the State of Israel never had had another capital. Jerusalem was declared capital by the Israeli government on 13 December 1949. It is common practice to leave sovereign states in charge of deciding on their capital and the seat of their parliament and government. Trump left a great deal open in his declaration. In striking contrast to his predecessors Clinton and Obama, he did not speak of Jerusalem’s indivisibility. He avoided the questions of future borders, Palestinian refugees or Jewish settlements. Objectively, Trump’s Jerusalem statement carries all the fatal features of the ambiguity of so many other documents concerning the Middle East conflict. Who owns Jerusalem? Through his statement, Donald Trump has made clear: Jerusalem does not belong to the Americans. In the name of the American people he announced: “We keep out. We recognise the facts on the ground.” In fact, the American president should have been saluted for his realism. But the world public reacted with indignation. A few days before Christmas, the United Nations General Assembly then condemned Trump’s Jerusalem Declaration in an emergency special session. 128 UN members supported the resolution. 35 states abstained. Togo, Micronesia, Nauru, Palau, the Marshall Islands, Guatemala and Honduras joined forces with Israel and the United States of America against this condemnation of Trump’s statement. For the record: Emergency special sessions of the UN General Assembly are being called if world peace is in acute danger. So far the United Nations applied this instrument eleven times in its history. Seven of these emergency special sessions were about Israel. Triggers were the Suez Crisis, the Six-Day War, the annexation of Jerusalem and the Golan Heights, the construction of the Jerusalem quarter of Har Homa and now Jerusalem’s recognition as the capital of the Jewish state by the United States. How absurd this setting of priorities in the United Nations is, shows a simple Google search. A global ranking of the world’s bloodiest conflicts since 1950, for example, is led by China (40 million dead), the Soviet Union (10 million dead) and Ethiopia (4 million dead). With 0.051 million deaths, the Arab-Israeli conflict ranks on place 49. This ranking was determined long before the so-called ‘Arab Spring,’ which has claimed more lives every year over the past half-decade than the entire conflict between Israel and its Arab neighbours in seven decades. A former PLO fighter, highly respected in his own society, said: “Don’t you realise? We have other problems. In the past few days alone, more than 1,000 people were killed in Yemen’s capital Sana’a.” The regional conflagration of the Middle East, which Europe fears so much, has long been ignited and devours the countries around Israel. However, this has nothing to do with the Jewish people, their ambitions or their state. The fact, however, that the Palestinian leadership had to pay youngsters to go to the streets with stones speaks for itself. The demonstratively proclaimed general strike of the Palestinians was obviously just for the show and only created harm to the Palestinians themselves. Those Palestinians who worked for Jewish Israelis diligently went about their work. Foreign tourists in the Old City made pictures of the deserted alleys and went about their souvenir shopping in the Jewish quarter. Any Palestinians who would have opened their business in Arab dominated areas would have had to fear it would be set on fire. City of the Three Major Religions? Foremost, Jerusalem and the mountain at its heart are sacred to the Jewish people. There Abraham had put his son on the altar. There Moses had centralised the Israelite cult. There Solomon had built his temple and prayed: “Even if a stranger comes from a distant land, in order to pray in the direction of this house, may you hear him.” From a biblical point of view, Jerusalem was never intended to only be the spiritual centre of Israel, but also from the very beginning ‘a house of prayer for all nations.’ Jerusalem is so significant to the Jewish people that there is no blessing of a meal, no worship service, no festivity, and certainly no wedding in Judaism in which the restoration of this city is not being expressly hoped and pleaded for. Martin Luther had recognised how central Jerusalem and the Land of Israel are to Jewish faith. Therefore, when he, in 1538 in his letter ‘Against the Sabbatarians’, sought to discredit the Jewish people and their beliefs, he demonstrated the Jews’ broken relationship with Jerusalem. The German reformer mocked: “Let them go to the land and to Jerusalem, build the Temple, raise up the priesthood, principality and Moses with his law so that they would become Jews again and own the land. If that should happen, they were to see us soon on their heels after them and become Jews ourselves.” Luther felt confident in his analysis. He leaned so far out the window of his dogmatic castle that he promised to become a Jew himself, would the Jews ever return to their land and to Jerusalem. At the same time, however, the German reformer proclaimed that earthly Jerusalem and the Land of Israel no longer have any significance for Christianity. Luther was part of a Christianity that moved its spiritual centre from Jerusalem to Antioch, Byzantium, Rome, Wittenberg, Geneva or Los Angeles. So, how can anybody claim, that Jerusalem is the city of Christianity? Historically, the first Western Christians came to Jerusalem in the mid-19th century as missionaries. Shortly thereafter, the first Latin Patriarch was installed ‘to neutralise the Protestant bustle.’ To this very day, Christians rarely come to Jerusalem to receive instruction from there. Rather, they come here in order to tell Jerusalem and Israel from their respective spiritual centre what matters and what they ought to do. And How Important is Jerusalem to Islam? In Surah 2, however, the Qur’an mentions the city, indirectly. There Mohammed dictates his followers a new direction of prayer. He declares it a mark of the right faith. In explicit contrast to Jews and Christians, Muslims are commanded to pray in the direction of Mecca, not Jerusalem. Allah pays attention to the direction of prayer, according to the Qur’an, and thus distinguishes the true believers from the evildoers. Whoever understands the extremely important body language in the Orient, knows what it means, if tens of thousands of Muslims pray in the Al-Aqsa mosque five times a day, directing their backside towards the place that is considered in the Bible the Holy of Holies. Again, history confirms this religious attitude. From 638 to 1967 Jerusalem was in Muslim hands with only brief interruptions. Not once during this time was it the capital of an Islamic state or even of a Muslim province. This is even more remarkable because on 2 June 1964, the Palestine Liberation Organisation (PLO) was established at the Hotel Intercontinental – now the Seven Arches Hotel – on the Mount of Olives. At that time, the Old City of Jerusalem with all its holy places was not in Jewish hands, but under Arab rule. Nevertheless, no one thought of demanding ‘the Holy One’ as capital of a Palestinian state. Why, Then, is the World so Upset? Why is every new neighbourhood in Jerusalem a reason for an emergency special session of the United Nations General Assembly? While, at the same time, there was never ever an emergency special session of the UN General Assembly for, let’s say, North Korea, or during the Cold War, or because of Iran – to name just a few striking examples indiscriminately. Why is the State of Israel so quickly suspected of seriously endangering world peace? While Israel, in fact, is a factor of stability in the Middle East, if only because it unites archenemies, who otherwise would be tearing each other apart. It does not need expertise or inside knowledge to realise that Israel is not only uniquely economically successful but also the only stable country in the region. Those who declare their own greed to be cost-effectiveness and then complain about Jewish financiers who supposedly dominate the world are nowadays quickly recognised as anti-Semitic. But how is that when it’s not about money but about violence? If someone presents one’s own excesses causing tens of millions of dead as a mere ‘challenge’ or even dismisses them as a trivial matter, and then at the same time pretends to be utterly upset about ‘violent Zionism’ that pulls the world towards the abyss? Does this not seem to be the same old atmosphere that once proclaimed in German-speaking Europe ‘die Juden sind unser Unglück’ – ‘the Jews are our misfortune’? There is no logical answer to the question of the madness that drives the United Nations. But there is a biblical perspective. That is, Bible readers – be they Jews or Christians – should be anything but surprised at the current events. True, this biblical perspective is not rationally comprehensible. But it fits. And our postmodern society seems to have bowed out of reason anyway. Otherwise, it would judge the Jewish State of Israel and its role in current affairs quite differently. Johannes Gerloff Johannes Gerloff, Theologian, Journalist, Lecturer and Author. 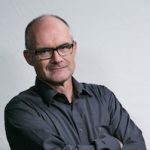 Johannes Gerloff (1963) has been Middle East correspondent for German language media for nearly two decades.